Vienna has been host and home to some of the world’s most famous people, including historical greats (e.g. 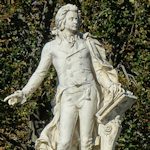 Metternich), the stars of classical music (e.g. Mozart), scientists (e.g. Freud) and artists (e.g. Klimt). Tip: try these concert venues if you just want to listen to the music of Mozart, Strauss, and others in a classic Viennese setting. 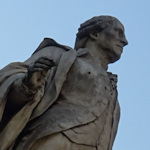 See the Mozart location guide for a map, photos and detailed notes on the Mozartwohnung and other places he lived, venues he played in, the Mozarthaus museum, monuments, memorials, and even his grave (he was not buried in a mass, unknown grave). Although employed by a court outside of the city, Haydn still lived and worked in Vienna for many years. The Haydn location guide points you to all the relevant places, such as the Haydn House, monuments and his starring role in a famous mechanical clock. 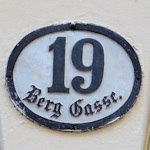 Discover all the landmarks associated with the life (and death) of Franz Schubert, including his birthplace, the house he died in, various residences, and even a Schubert lime tree. The guide includes a map and photo slideshow. 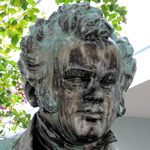 Mr Beethoven lived, drank and performed in a lot of places and the Beethoven location guide is on its way. 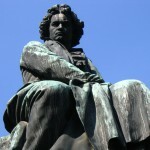 In the meantime, the three most important locations for visitors are the Beethoven Museum, the Pasqualati House and Beethoven’s grave among a group of other famous composer graves in Vienna’s central cemetery. Perhaps no other artist is more closely associated with Vienna. 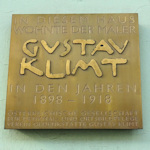 Follow his life around the city with this Klimt guide, which also points you to all the places you can see his paintings and other works. If you’re pressed for time, simply head to Belvedere Palace to see The Kiss. 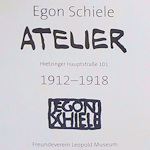 The artist Egon Schiele studied, worked and died in Vienna. Here’s a guide to relevant addresses (with a map and photos), including all the places you can see his works. If you only have time for one address, then visit the Leopold Museum, home to the most important Schiele collection. Many of the iconic buildings in Vienna bear Wagner’s fingerprints, particularly the railway stations along the U6, U4 and S45 subway and train lines. 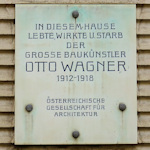 This Otto Wagner guide highlights landmark Viennese buildings from his life and work, with a map, photos, and numerous annotations. 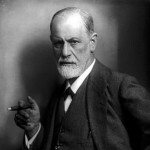 Sigmund Freud spent much of his active working life in Vienna in an apartment on Berggasse. And the good news is you can walk around it, since it’s home to the Sigmund Freud Museum.